"Whoso findeth a wife, findeth a good thing. and obtainth favour of the Lord." I've been really bothered and annoyed lately when I see commmercials, or hear comedians making fun of the joyfulness of marriage. People mock marriage like it's horrible and it's something we do just because we're supposed to, but you're never really happy. I have found the exact opposite, and I think that's why it stings every time these jokes are made. Marriage is sacred and beautiful. When you have found it, you truly have found a "good thing." I know the secret to marriage is who you marry. I know a lot of people in my family and my friends, that have gotten married really young or without dating for very long, and are now very unhappy. The apostles have said very clearly, "court each other for a LONG time, but have a SHORT engagement." I know that to be true. If you give your dating time, in my opinion at least a year; you will have the opportunity to see that person in every different stage of their personality. You will also learn what you are going to have accept, and what you will work together to change. You will truly know if this is a person you can spend your life with, and have real joy. Men are that they may have joy. Marriage brings joy, but you have to marry the right person. I don't believe that there is only 1 person in this world meant for you. I just don't believe that to be true. People will probably argue with me about that because when I talk about Dave, I talk about him as the "love of my life". Well, he truly is the love of my life. That doesn't mean that I couldn't have found another person who I would've loved just as much, just in a slightly different way. I very easily could've married someone else and been just as happy, it just would've been different. We all have many people on this earth that we can marry and have an amazing life with, but we need to find them, and we need to give it TIME to make sure we have truly found one of them. Commercials on TV, people on FB, and radio stations, constantly mock the sanctity of marriage. They constantly say how miserable marriage is, and how easy single life was, yet for some reason they stay married. Why is that? There is a beauty, and peace, that comes with being married. There is a trust that is above anything anyone has ever experienced. You are sharing your life with someone. Your most embarrassing moments, your hardest trials, your darkest secrets, everything. You are asking them to trust you, and allow you to trust them with the most sacred things in your life. No one can understand that until you have that in your life. That trust and loyalty is above everything else in this world. It is the closest relationship you will ever have next to your relationship with the Lord. So let them make jokes, and mock marriage, but there is a reason that people get and stay married, and it's because it is sacred. Marriage can bring so much joy. When I was younger in my early 20's and not a member of the church, I truly believed that would never get married. I dated men, and had relationships with them. I played "house" if you will. I wanted the relationship, without the demands of marriage. I always pictured marriage to be this horrible thing because of the jokes I had heard my entire life. Part of me knew it wasn't true because my parents had the most amazing marriage on the planet, but I thought they were an exception. I didn't really believe that marriages like theirs happened anymore. So I just chose to live the single life, but have the joys of having a boyfriend too. It was a fun, non-committed relationship. I was dating this guy that I had dated on and off for about 4 years when I met Dave. Even as Dave was walking through the parking lot and I watched him walk towards the gym, I knew something was different. I knew I wanted to know this guy. Then he walked in, and walked up to me and said "hello", well, the rest is history. I stopped dating the other guy, got serious with Dave, dated for over a year, got engaged, and 2 months later got married. It's been the greatest decision I've ever made, and I have the true "Joy" that Proverbs talks about. Now please don't think I'm saying that people who date for 2 months and get married aren't as happy. If you have found one of the loves of your life, and your marriage works, that's all that matters. The point of this post is to let people know that marriage brings immense joy. Those men and women that don't find one of their "true loves" in this lifetime; I know they will have that joy in the life to come. I have a dear friend in the her late 30's who is beautiful, intelligent, hardworking, funny, kind, loving, and wants nothing more than to share her life with someone else. I don't personally know that pain that she feels from being single, but I know the pain that I feel for her. My heart breaks for the pain she goes through, and the ache that is in her soul. She longs for someone to share her life with. She is faithful to her Father in Heaven, she lives his teachings and principles, and I know without any doubt that one day she will have the joy that comes from marriage. It may not be in this life, but because of her faithfulness and diligence, I know she will have that eternal joy either in this life, or the hereafter. She will be blessed, and her pain that only Christ feels, will be taken away and turned into joy. Don't take your marriage for granted. If things are hard, or communication is difficult, take the steps you need to take to find that joy that God wants for each of us. Marriage is hard work, but it's work that's worth it. If you will put everything you have and more into making your marriage happy, successful, and joyful, you will have it. It takes 2 whole people and God to make a marriage work. You must learn to trust, you must learn to be loyal, and you must learn to be selfless, and through these things you will have the most immense joy you have ever felt. You will have the most amazing marriage you have ever dreamed about. 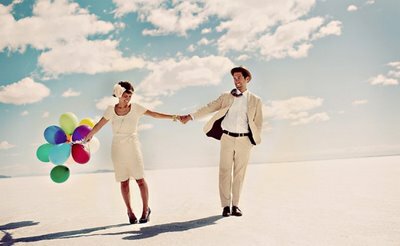 Life is truly joyful and happy when you have a loving committed relationship, in the bounds of marriage. Thank you for posting this, I wont say why, but I really really really needed to read this today. @joiedevivreheather- no need to say why. I'm glad it was what you needed. That's always my hope when I write, that it touches whomever needs it. Have a wonderful day, and thank you for reading my blog.